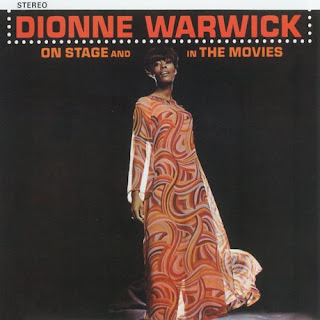 Here is a great song from 1967 (already sung, among others, by Shirley Bassey) performed by legendary singer Dionne Warwick. Dionne Warwick (born Marie Dionne Warrick in 1940) is an acclaimed five-time Grammy Award-winning singer, actress, activist, United Nations Global Ambassador for the Food and Agriculture Organization, former United States Ambassador of Health, and humanitarian. 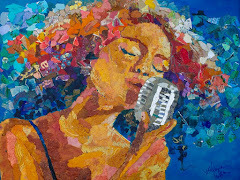 She is best known for her partnership with songwriters and producers Burt Bacharach and Hal David. 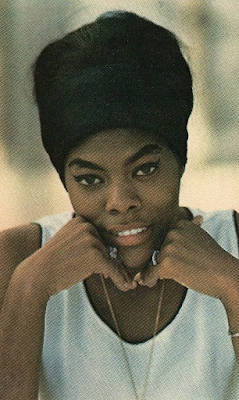 According to Billboard magazine, Dionne Warwick is second only to Aretha Franklin as the female vocalist with the most Billboard Hot 100 chart hits during the rock era (1955-1999). Dionne began singing gospel as a child at the New Hope Methodist Church in East Orange. Her first televised performances were in the mid-and late 1950's with the Drinkard Singers and were carried on local television stations in New Jersey and New York City. Warwick graduated from East Orange High School in 1959 and was awarded a Scholarship in Music Education to the Hartt College of Music in Hartford, Connecticut (a school from which she earned her Doctorate of Music Education in the 1980's). While performing background on The Drifters' recording of "Mexican Divorce", Warwick's voice and star presence were noticed by the song's composer Burt Bacharach, who was writing songs with many other songwriters including Hal David. Her first solo single was released in November, 1962. The song was entitled "Don't Make Me Over". This was followed by "Walk on By" in April 1964, a major international hit and million seller that solidified her career. The mid 1960's to early 1970's became an even more successful time period for Warwick, who saw a string of Gold selling albums and Top 20 and Top 10 hit singles. "Message to Michael", a Bacharach-David composition, became a top 10 hit for Warwick in May 1966. In 1967, Warwick earned her first RIAA Gold Single for US sales of over one million units for the single "I Say a Little Prayer". The single "Do You Know the Way to San Jose" was an international million seller and a Top 10 hit in several countries, including the UK, Canada, Australia, South Africa, Japan and Mexico. 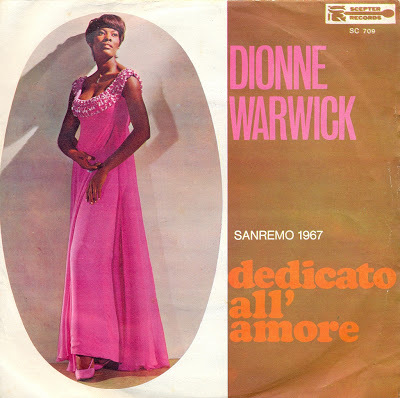 By the end of 1971, Dionne Warwick had sold an estimated thirty-five million singles and albums internationally in less than nine years and more than 16 million singles in the USA alone. The song "Heartbreaker" was one of Dionne's biggest international hits, peaking on Billboard's Hot 100 at #10 in January 1983 and #1 AC in the USA and #2 in the UK. 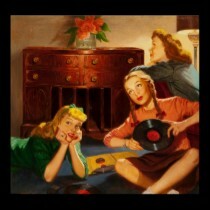 Internationally, the tune was also a smash in continential Europe, Australia, Japan, South Africa, Canada, and Asia. In 1983, Dionne released another notable album titled "How Many Times Can We Say Goodbye" which was produced by Luther Vandross. Their collaboration had been a lifelong dream of Vandross, who had maintained that he wanted to work with Warwick, Aretha Franklin, and Diana Ross. In 2005, Dionne Warwick was honored by Oprah Winfrey at her Legends Ball. Warwick appeared on the May 24, 2006 fifth-season finale of American Idol. Millions of U.S. viewers watched Warwick sing a medley of "Walk on By" and "That's What Friends Are For", with longtime collaborator Burt Bacharach accompanying her on the piano. Dionne Warwick's new gospel album, "Why We Sing", was released in 2008. 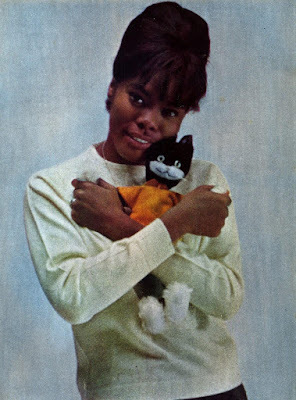 Warwick's sister Dee Dee Warwick also had a successful singing career. Warwick's aunt is gospel singer Cissy Houston, Whitney Houston's mother, making Whitney Dionne's first cousin. 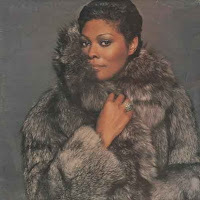 Enjoy Dionne Warwick's great beauty and style!